B&B Super Attico Su Cagliari offers rooms in Cagliari. Around 1 km from National Archaeological Museum of Cagliari, the property is also close to Cagliari Courthouse. The property is close to popular attractions like Cagliari University, Bastione di Saint Remy and Cagliari Port. At the bed and breakfast, each room includes a terrace. 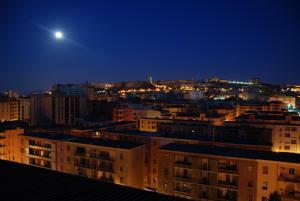 The rooms are fitted with a flat-screen TV, and certain rooms at B&B Super Attico Su Cagliari have a balcony. Poetto Beach is 4.1 km from the accommodation. Cagliari Elmas Airport is 7 km away.